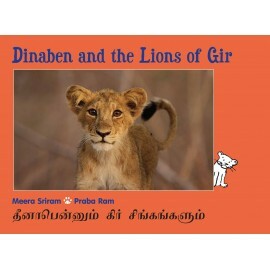 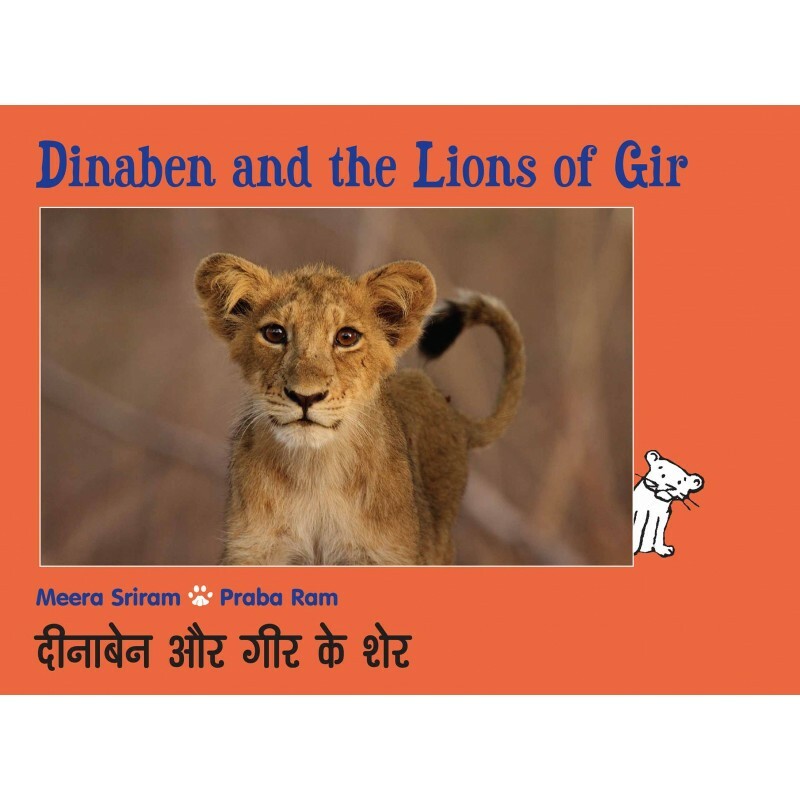 Dinaben is a Maldhari and her village is right in the middle of the Gir forest where the lions live. How does she live? 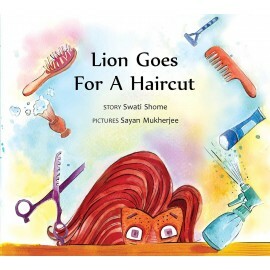 What does she do? 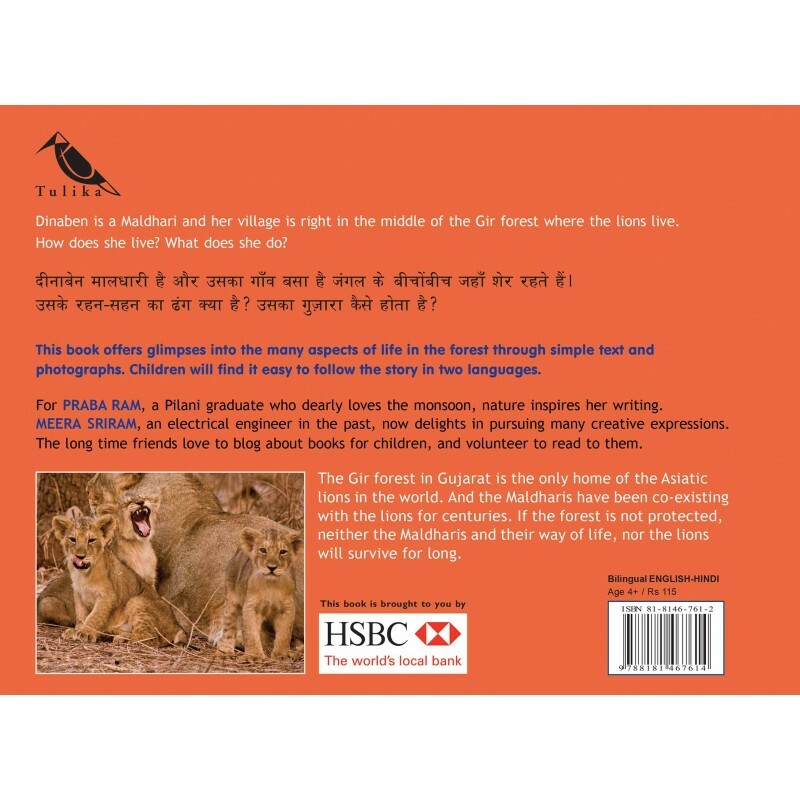 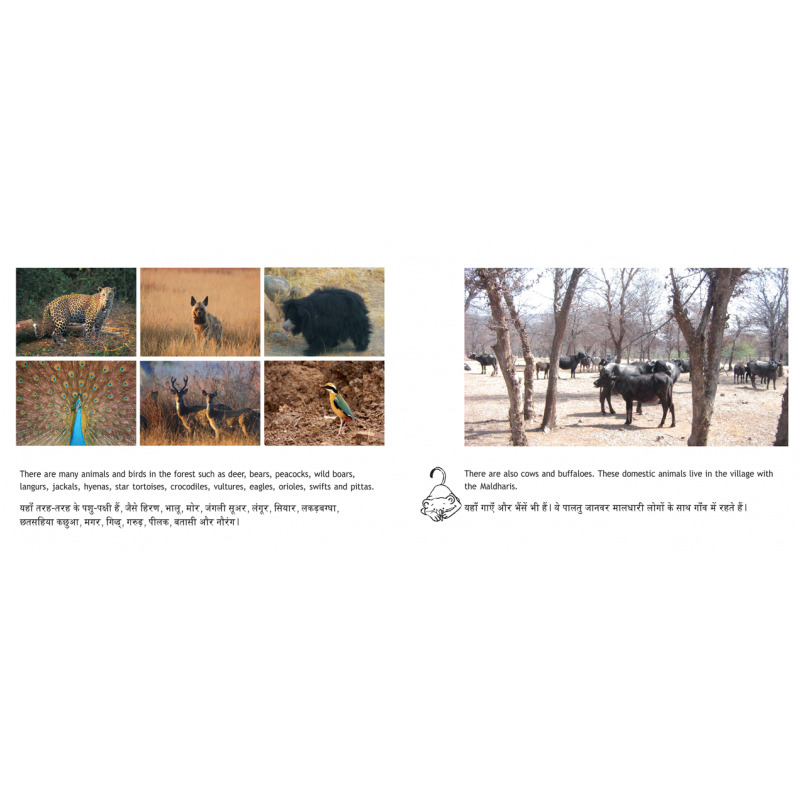 This book offers glimpses into the many aspects of life in the forest through simple text and photographs. Children will find it easy to follow the story in two languages.